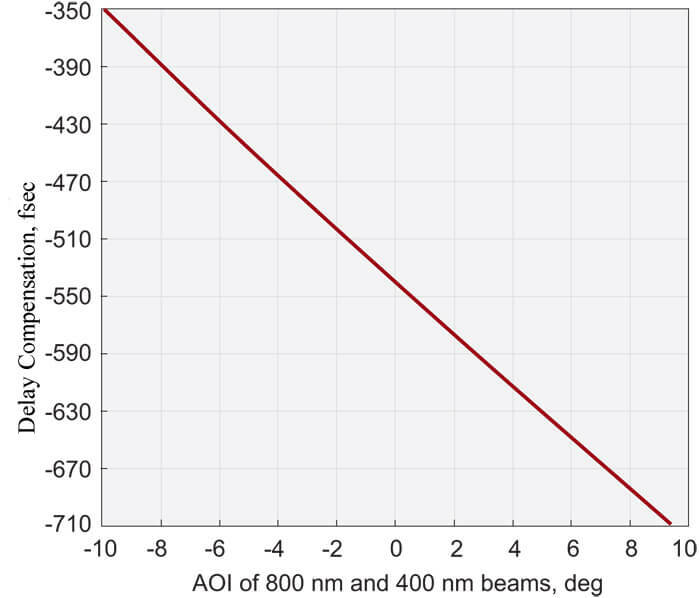 *Delay compensation range at angle of incidence from -5 deg to +5 deg. Compensation plates are made of Calcite. Calcite plates are available with different orientation for different Group Velocity Delay compensation - starting from tens of femtosecond up to tens of picosecond delay compensation. Standard delay compensation plates are adjusted for required compensation by angular tuning changing the angle of incidence. Suggested AOI is -5o to +5o; however, they can also operate at larger AOI. Standard plates are made of 16x14 mm aperture, clear aperture Ø12 mm and mounted in to 1” ring holder. 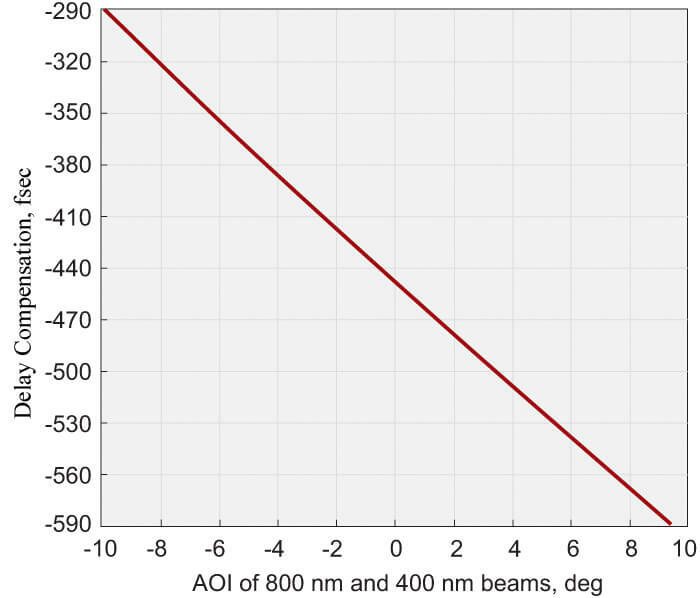 The optical axis is at special orientation – non parallel to faces of plate. Standard calcite plates have clear aperture Ø12 mm. 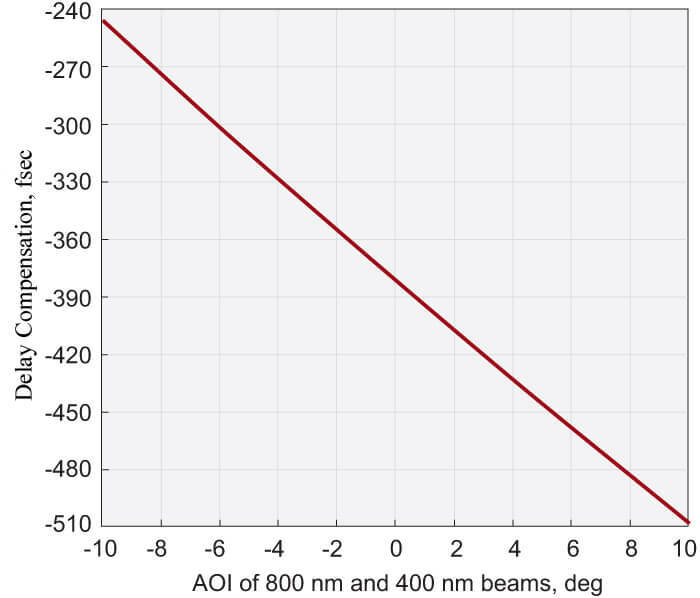 However, on special requests, clear apertures up to Ø20 mm can be produced. AR coatings for custom wavelengths and Alpha-BBO plates are available on request.